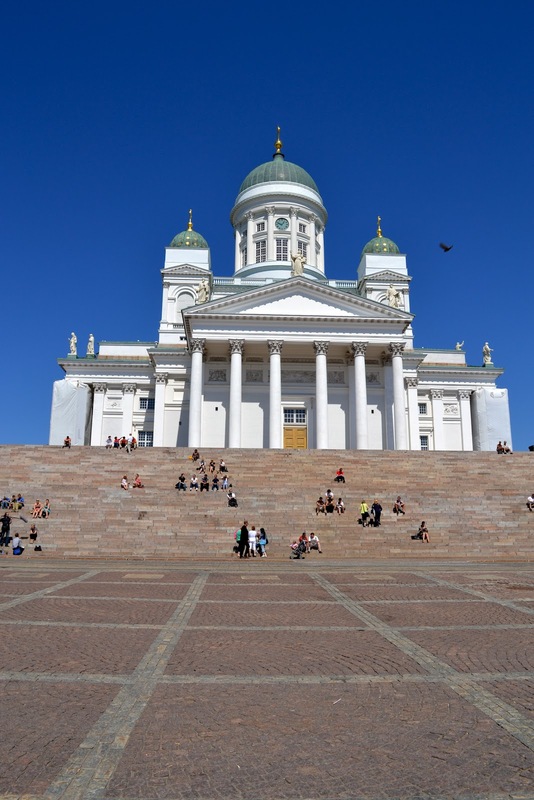 Designed by Architect Carl Ludvig Engel, the Senate Square compellingly shimmers with the summer Baltic sun, while the blue sky becomes the perfect backdrop for Helsinki's center for political, religious, scientific and commercial powers. I felt dwarfed by the Senate Square's beauty and historical influence, but for a mere traveler like me, this is a must visit in Helsinki. 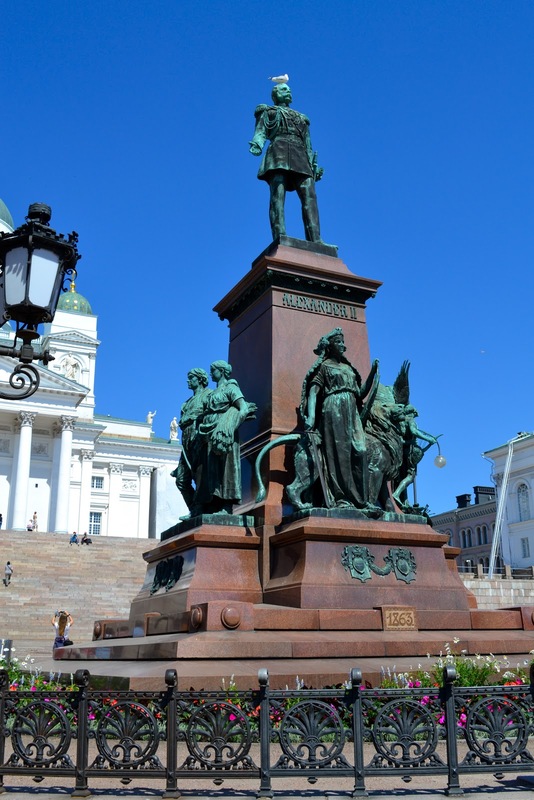 Monument to Emperor Alexander II, erected in 1894 which was13 years after his assassination. The yellow building at the back is the main part of the University of Helsinki. The Cathedral's front is a great place to eat lunch and chat for the locals. 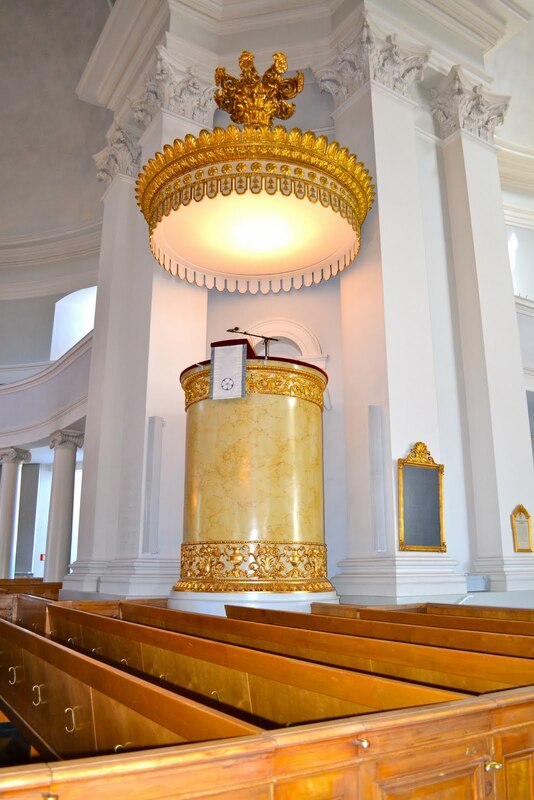 The pipe organ inside the Cathedral. Beautiful chandelier inside the Cathedral. The Alexander II monument again. This time, a Seagull sits on his head. Blue skies over Helsinki's Senate Square. I have not seen these movies except for certain parts of Reds; my dad was watching it at one time. I do love Darude's Sandstorm. the architecture is impressive and the place looks spick and span. it appeared to be a hot day. @ Photo Cache, I was really impressed how clean Helsinki when we visited. Indeed, it was a hot day, but it was great for photo taking :). 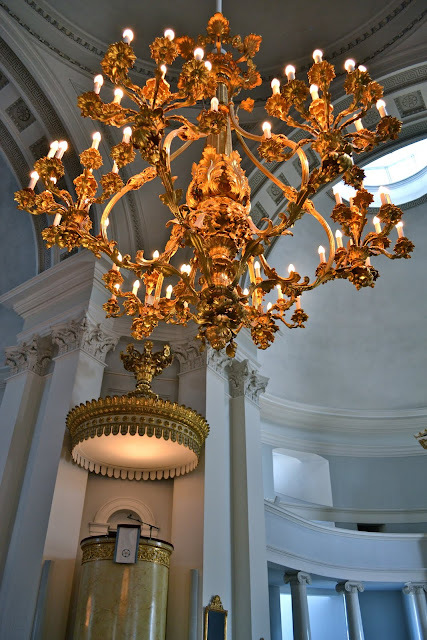 What beautiful architecture. I am enjoying your posts so much - seeing a different part of the world. That cathedral is impressive in its almost unadorned splendour. ang ganda ng pics mo kayni. para na din kami nagpunta doon!